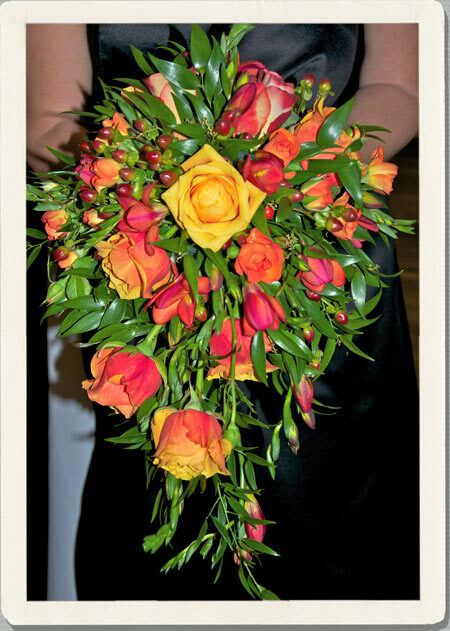 Frances wanted her November wedding flowers to be a shower bouquet of yellow roses with a touch of autumn colours. 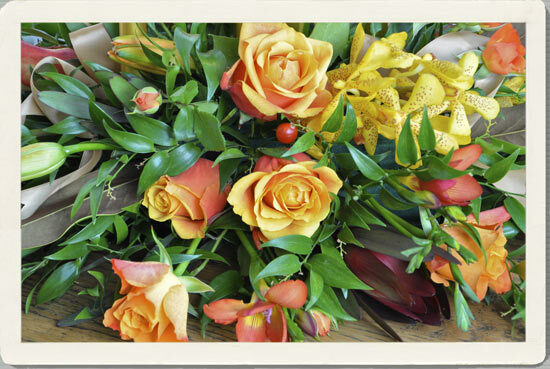 We blended a mix of yellow 'cherry brandy' roses with orange 'Mariyo', 'Leonidas' and 'Babe' roses, all enhanced with glossy autumnal berries. 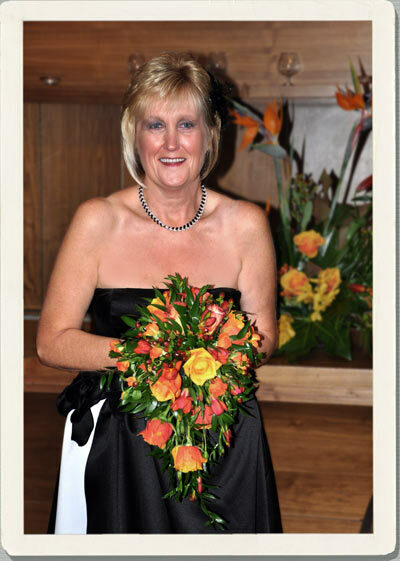 This bold colouring contrasted beautifully against Fran's black and white wedding dress. 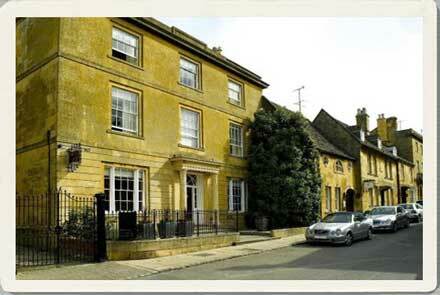 The stunning Cotswold House Hotel in Chipping Campden was the setting for Fran and Bob's November wedding. 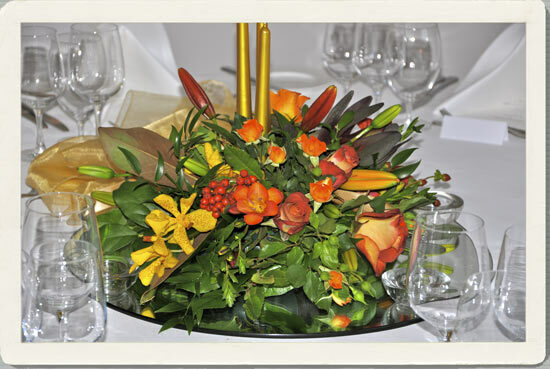 The golden honey coloured stone set the scene for their glowing wedding flowers. A sense of occasion was added to by tying golden yellow bows on the bay trees inside the reception room. The table arrangements followed the theme, and greatly complimented the hotel. 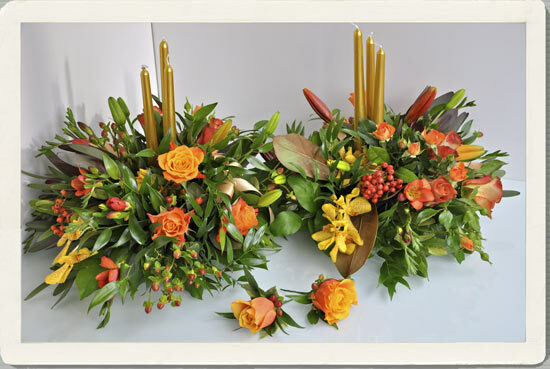 For the bar arrangement, we decided to make a statement and followed the orange and yellow wedding flower theme. 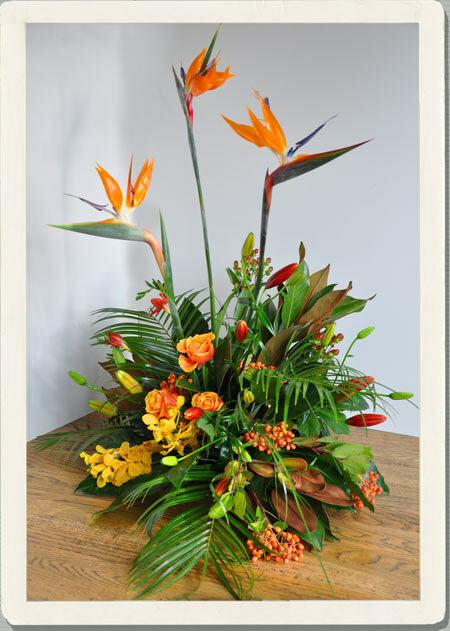 Bold strelitzia or birds of paradise, a tropical flower were used with orange tango orchids and yellow and orange roses. 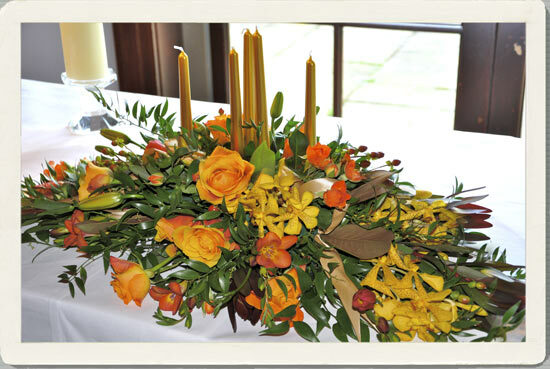 Frances and Bob's November wedding flowers brought a warm glow of Autumn in the Cotswolds on a chilly day and we were very happy to have been part of this special occasion. 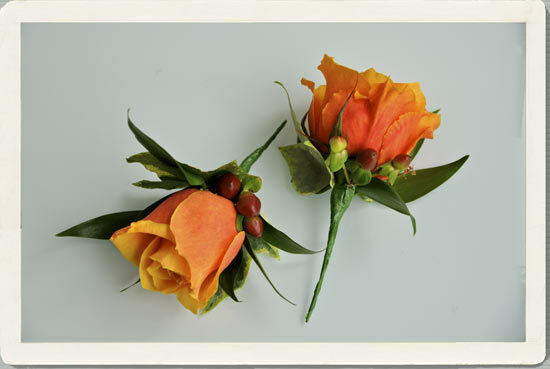 The men's buttonholes followed the strong orange wedding flowers theme with 'Cherry brandy' roses backed by red hypericum berries in an effective but simple arrangement. 01386 832120 or >07771 776173. 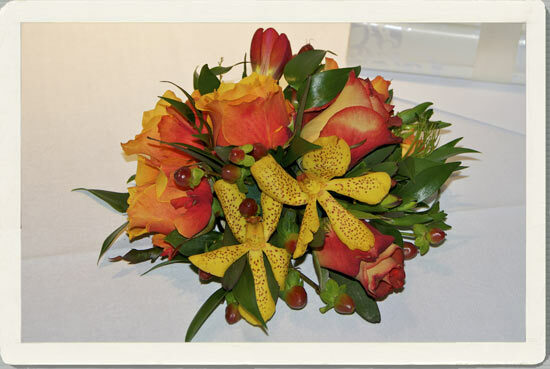 Alternatively,leave your contact details to discuss your November wedding flowers ideas and we will get back to you straight away.